Stringerless blank, Volan glassed with gel coat. B. B. black and red diamond at the tail. Bottom: Red gel coat panel with a white off-set band. Compare with #50, see below. 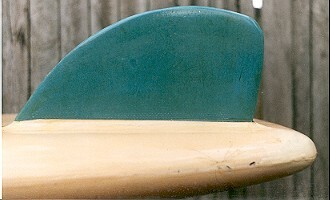 Similar board in the Scott Dillon collection.